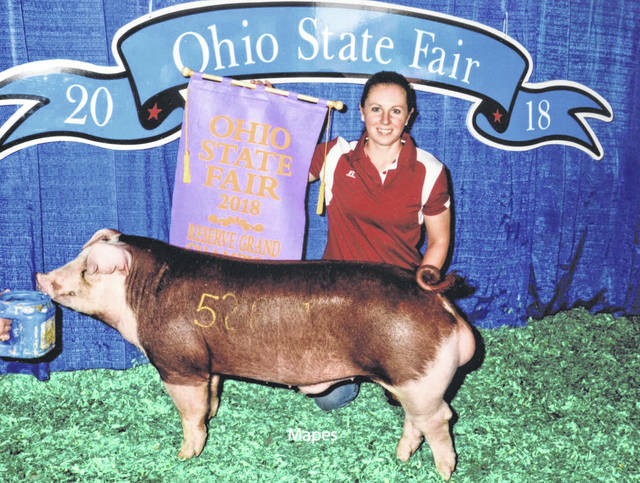 Kayla Overstake Dettwiller raised and exhibited the Reserve Grand Champion Hereford Boar at the 2018 Ohio State Fair. This is the 16th time that Dettwiller has raised and shown a champion at the Ohio State Fair. The boar’s mother was raised by the Nathan Cook family, the Dettwillers’ neighbors, and the sire was raised by the Corey Buckley family of Wilmington.